Lets Make it Your Best Summer....Ever!! Vacation in your own backyard, lets plan your Summer Vacation! All instock Aboveground Pools are on Sale! Aqua-Blue is the recipient of a national award for the 2012 design and construction awards for outdoor, vinyl pool with water features. Aqua-Blue is the recipient of a national award for the 2013 design and construction awards for outdoor, vinyl pool with water features. Aqua-Blue Pools, Spas & Bath Fixtures has been an established swimming pool and hot tub company for over 30 years, supplying customers with high quality components, accessories, fixtures and installing with the finest quality techniques and equipment available. Aqua-Blue Pools, Spas & Bath Fixtures is family owned and operated which helps to ensure the highest quality product, service, integrity and support to each of our customers. 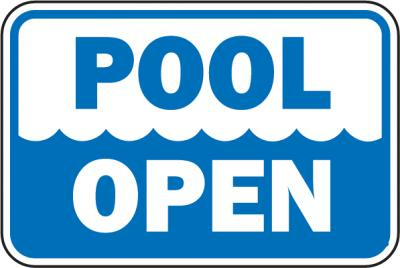 Aqua-Blue Pools, Spas & Bath Fixtures offers knowledgeable staff which retails inground & above ground pools, hot tubs, chemicals, accessories & a full line of bath fixtures. 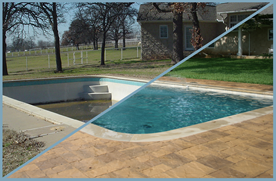 Aqua-Blue is also a full service company which offers everything from swimming pool openings & closings, liner replacements, electronic leak detection, pump & filter replacements or whatever your pool & hot tub needs may be. Say goodbye to booking vacations. A hot tub or spa in the backyard can turn your home into the perfect staycation. Eliminate stress and improve your health right from the convenience of your own backyard. Planning your swimming pool renovation can be a daunting task. How to do it, who to choose and what exactly to renovate, and of course when to do it, are all important considerations in planning the perfect swimming pool renovation.